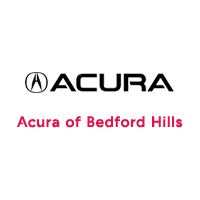 When you purchase an Acura Certified Pre-Owned vehicle from Acura Of Bedford Hills, you can expect the same uncompromising standards of a brand-new Acura. All vehicles are under six years old with less than 80,000 miles and have a 12-month/12,000-mile Certified Limited Warranty and provides powertrain coverage for up to 7 years*/100,000 total odometer miles (which ever comes first). Each vehicle must also pass a 182-point vehicle inspection and is covered by an extensive Roadside Assistance program.